Their tagline is "new and recycled fashion," and that pretty much sums it up. 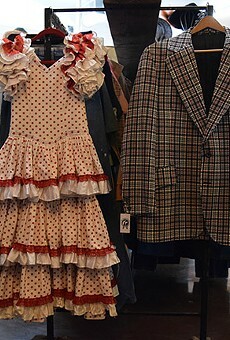 Founded in Tucson in 1974, the store accepts clothing from local customers that are vintage, designer and one-of-a-kind. They let potential sellers know what they're looking for at different times of year to keep up with supply and demand for everything from back to school clothing to winter jackets to summer accessories.